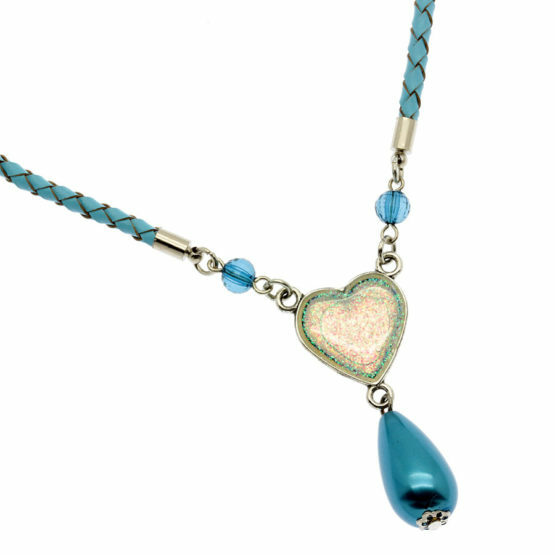 Necklace in leather and mother of pearl pendant. Made with black leather and silver tone metallic beads near the pendant. The pendant is a mother of pearl. 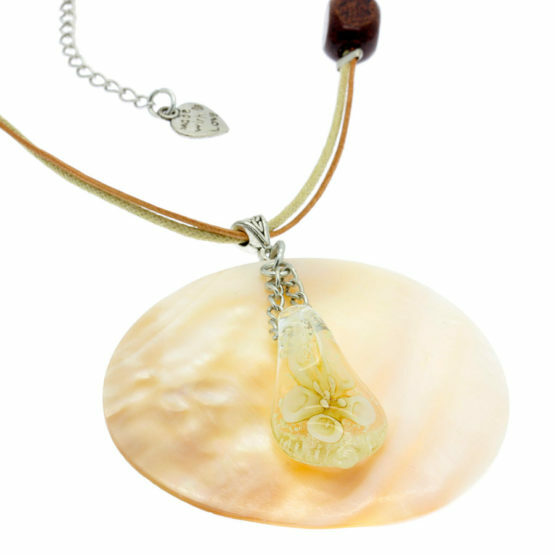 Triple leather necklace with natural whelk. Made with 2 fine leather strands and 1 thicker leather strand in shades of brown and black. The main pendant is a big whelk in its natural tone. There are also some silver tone metal pieces to join the threads. 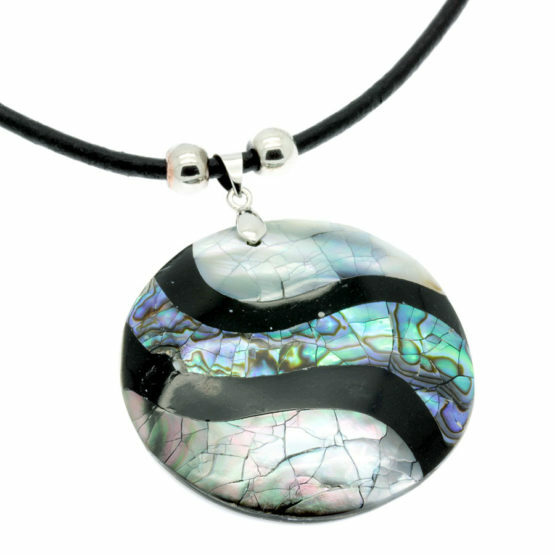 Mother-of-pearl and glass necklace. Long necklace in leather, mother of pearl and glass. Made with fine leather in shades of brown. It also has wooden beads in dark brown. Pendant is a mother-of-pearl shell in natural tone with application of a second pendant, a glass pendant in beige and crystal tones with flowers. Necklace of natural conch. Made with fine leather cord in beige tone. The pendant is a whelk in its natural tone. It also has wooden beads. Natural shell necklace. Made with 3 fine leather strands in brown tones. The main pendant is a shell in its natural tone. 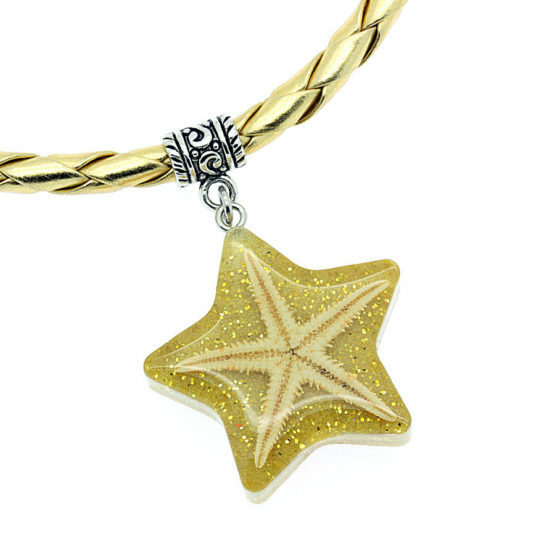 The overlapping pendant is a silver tone metallic starfish supported by a pearl acrylic bead. 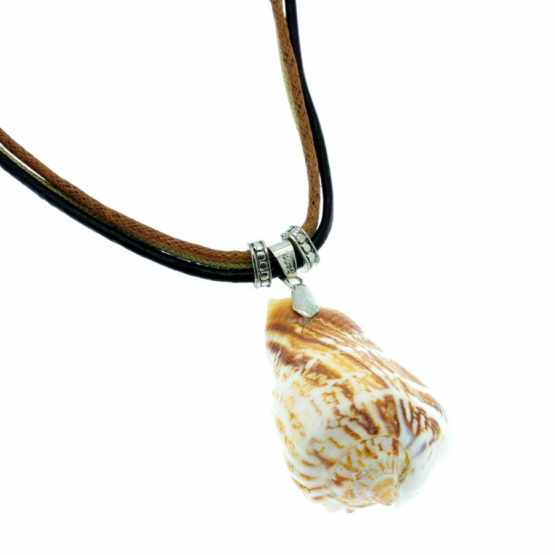 Necklace with natural shell and metallic conch. Made with light brown braided leather. It has beige wood beads. The main pendant is a shell in its natural tone supported by a circle of wood. The overlaid pendant is a silver tone metallic conch.